Who is Joey and why do Santini fans love her? Joey Santini is the matriarch of the entire Santini Clan. She is married to Papa, the oldest brother, and won hearts with her no nonsense attitude when dealing with the massive Santini family. 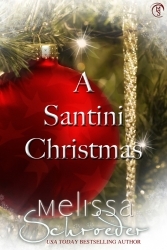 She has her own story about falling for Papa Santini in A Santini Christmas.